Located within the grounds of Hawkesbury Race Club, the Hawkesbury Race Club Motel features views of the racecourse, stables and the world-renowned Blue Mountains. A 1-minute walk from Clarendon Railway Station, it offers award-winning four star accommodation with an outdoor pool, free undercover parking and a breakfast restaurant. The motel has been designed ultimately with your comfort in mind. We pride ourselves on providing our guests with quality at affordable, competitive rates. For your convenience every modern facility has been provided including mini bar, TV & DVD, Foxtel, ISD telephone and wireless internet connections. All standard rooms have a kitchenette which includes toaster, kettle, microwave, iron and hairdryer. Each of our suites offer full kitchen facilities with a spacious living and dining area, along with king sized bedrooms. The deluxe spa suite opens onto its own private balcony and has a large spa bathroom. 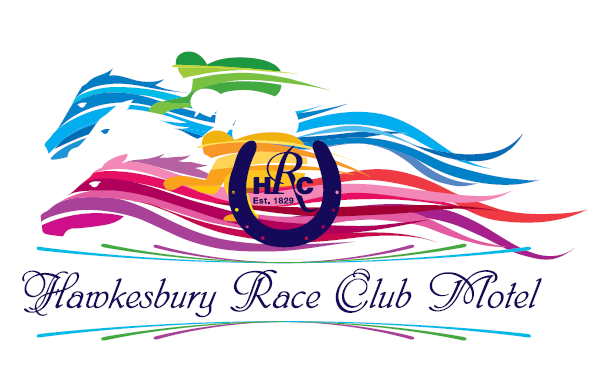 The Hawkesbury Race Club Motel is situated in close proximity to all the attractions of the Hawkesbury Region, including the historic towns of Richmond, Windsor and Pitt Town. The locality has many other attractions to suit all ages and demographics.